When you speak to your customers as a brand, you speak in a particular voice and tone – whether you know it or not. Just like you speak to your peers in a special voice and tone, when you speak to your customers through social media, you do the same. Whether you know it or not. But in your mind, you probably have an idea of how you want to be perceived by your audience. But is your social media brand voice reflecting that? Whether you have multiple people managing your social media or do it all by yourself, chances are, you aren’t using a brand voice consistently. Just like your logo and your name, your brand voice is an important part of your branding strategy and has a huge impact on whether or not your audience will remember and resonate with you. And maybe most importantly, how your audience perceives you. 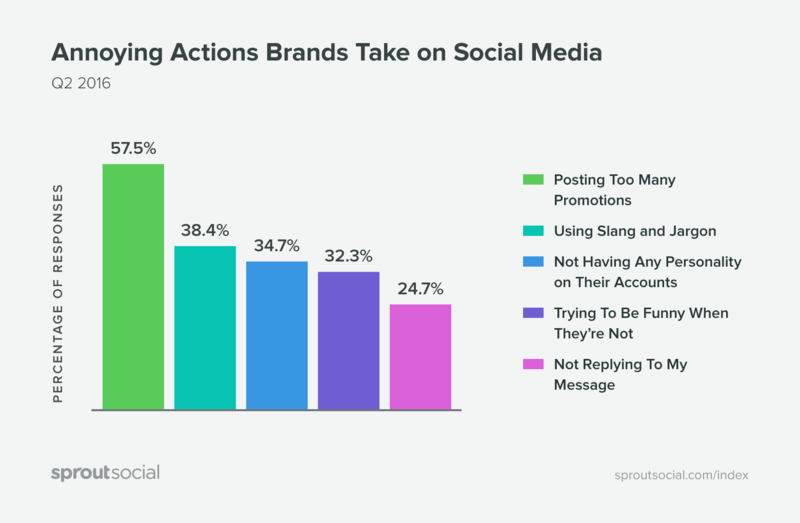 SproutSocial found that 32,3% of customers think that one of the most annoying actions brands take on social media is that they don’t have any personality. And while this may sound like a new concept, it’s really not. Just think of a life where your best friend didn’t have any personality, but speaking in a robot-like voice and tone, showing no emotions, no opinions, not thoughts and ideas. Not the most desirable life. In the same way, your customers don’t want the same for your brand. In this article, you’ll, therefore, learn the often neglected but crucial part of a successful social media strategy, which is how to develop and establish a strong social media brand voice which makes your audience resonate better with you – but most importantly, makes your voice a central part in your branding strategy. The truth is, you don’t just need a brand voice on social media. You need it everywhere. But social is a great place to start. Just like with someone in real life, you want that person to have a personality no matter when and where you meet them, and you want that personality to be consistent and recognizable. Most people are very well aware of the importance of branding, but the concept of brand voice is something that’s spoken about very little. When most people think about branding, they think about a logo and a brand name, but a brand as a whole is ” a name, term, design, symbol, or other feature that distinguishes an organization or product from its rivals in the eyes of the customer”. This means that anything that can change your customers’ view and perception of your brand is branding, and if brand voice and personality doesn’t affect how you are being viewed by your audience, I don’t know what is. Secondly, developing a brand voice helps your audience resonate better with you. If done correctly (which you’ll learn how to do in this post), you’ll have a brand voice that is aligned with your target audience and which is tailored after their preferences, voice, and tone. As such, a brand voice like that will allow you to have better and more powerful conversations with them, which further encourages more people to engage with you, due to the fact that they see you more as a peer than a company. If you were asked if you thought branding is important, you would probably say yes. After all, the world’s largest companies such as Coca-Cola, Ferrari, Snickers, IKEA, etc. have some of the strongest brands in the world. And while this isn’t the sole reason they’ve got there, it’s certainly an important one. Unfortunately, though, the brand voice strategy is a part of the branding strategy which is often overlooked. On the flip side, it’s one that has proven immensely effective to brands that have properly embraced it. Now, as far as brand voice goes you want your brand voice to reflect your brand’s values, believes, and align with how you want it portrayed. And the reason why brand voice is maybe most talked about in a social media context is that today, many brands have the majority of customer interactions and conversations taking place on social media. It’s an incredible tool that allows for instant and seamless interaction with your audience within a matter of seconds – no matter where in the world they are, and as such, it’s only natural that many brands now have social media as their main communications tool. While I say social media brand voice, this is a voice that should go for all of your customer interaction, no matter where you interact with them. Remember that branding is a long process that demands consistent hard work, and this is also why it’s wrong to just say ”social media brand voice” because your brand voice shouldn’t just cover social media. It should cover every single customer interaction you have – no matter where you have it. This is why it helps to have defined your brand voice so you know how you can stay aligned with it. But in this post, I’ll stick to the term social media brand voice since, after all, it’s social media that we’ll be focusing on. As a brand, you want to build strong relationships with your audience. Because relationships lead to loyalty, and loyalty leads to sales and recommendations. What does this have to do with your social media brand voice? Well… Everything. Since interactions are the foundation for customer relationships, one of the most important factors of building a brand voice is to make your audience resonate with you. Well, accordingly, the number one factor you should take into account when developing your brand voice, is, therefore, your target audience. First off, you need to make sure that your brand voice resonates with the voice and tone they use. Just like talking to an 80-year old as a 12-year-old will create a significant distance, speaking in a different language than your audience will do the same because after all, these are the individuals that you are looking to talk to in the first place. In other words, if not even your target audience resonates with your voice, you can consider your brand voice a complete fail. For example, Wendy’s has been a huge success due to its ironic and humorous social media brand voice, but that’s because they’ve identified their target audience as millennials who they know resonate well with that. 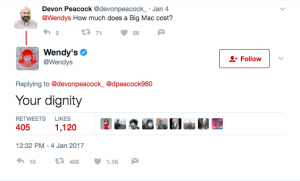 As such, you can be sure that Wendy’s wouldn’t have the same success if their social media audience would consist of 40-year-olds, right? If you don’t know your target audience on social media, you can always use social media analytics tools such as Facebook and Instagram insights to get a better insight into the demographic and psychographic information about your audience. The second thing you want to factor in when developing your social media brand voice is how you want your brand to be viewed by your audience. For example, brands like Starbucks and Pepsi feel young, fresh, and alive, but when you think of companies like Apple and Mercedes, you think of something more sophisticated and stylish, right? As such, it’s important that how you want your brand to be perceived is aligned with the voice you actually use, because your voice will leave a big impact on how your audience thinks about you as a brand. It’s no coincidence that you perceive brands differently because through consistent work with their branding strategy, they’ve been able to build a brand that is perceived the way they want people to see it. Do you want your brand to feel casual, funny, conservative, or formal? Maybe you want your bran to feel young, unique, and bold? How you establish this will have a huge impact on how your customer interactions play out and how well your audience resonates with you, so pay great attention to this step. After all, have in mind that 77% of marketers say that effective branding is crucial to the future growth of your business. And a brand voice is at the very center of this. The best way to define your brand voice is to imagine your company as a real person. If your company would be a person, what would they sound like? 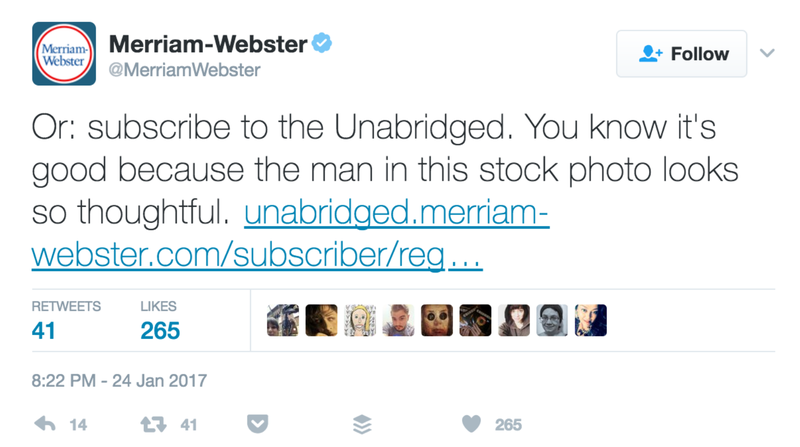 What would be the number one distinguishable trait for this person? Which tone are you going to use? While voice and tone are often used in a way that implies they are very similar, there is a main difference between the two. The tone means the feeling and vibe that your voice sends. For example, when talking with you, do you send the signals of warmth, do you send signals of being extremely honest, or more formal? Your voice and language, on the other hand, is more about how you use your langue, for example using land, jargon, jokes, etc. Not being yourself can be a huge mistake as a brand when it comes to branding and your brand voice. 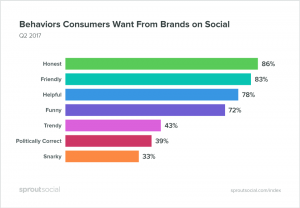 According to SproutSocial, the number one behavior customers want from brands on social media is honesty. Want to know the best part about this? Honesty is a behavior that any brand can adopt, no matter what branding strategy they’re operating according to. Not only does being honest mean being honest with your audience, but it also means being honest and staying true to your brand. And this is what I’m getting at…. There are several brands on social media which have adopted a certain brand voice just because it’s popularised and that it has proven to be effective for someone else – just like my example with Wendy’s. The problem, with this, however, is that the audience won’t resonate with it. 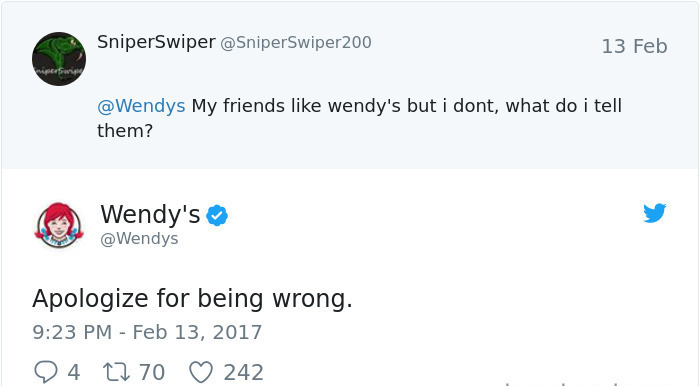 For example, what would you do if the white house on social media would starting the same voice and tone as Wendy’s? It would create an immense backlash towards them. People wouldn’t be able to resonate with them, and they’d come off as incredibly dishonest and inauthentic, both to themselves but also to their audience. If you aren’t staying true to your brand and its values, you have to be prepared to meet backlash from your audience. After all, Social media Today found that 57% of consumers think that less than half of all brands create authentic content. 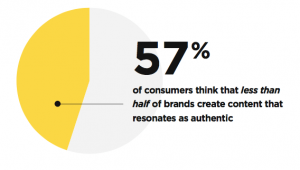 This means that brands have a lot to work on when it comes to authenticity. Now, the best think about the chart presented earlier is the top traits that consumers want to see from brands on social media are behaviors that are relevant to all companies – no matter which social media brand voice they have. I mean, any brand can be friendly – and should be, any brand can be helpful – and should be. 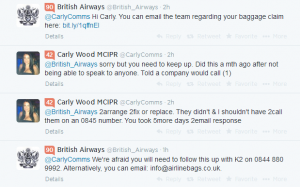 Have in mind that 38,4% of customers dislike when brands use slang and jargon. Now, this doesn’t mean that brands cannot use it, but it means that they could use such that resonates with the brand. But most importantly, that the correct brands. While you would expect slang and jargon from brands like In N out, you certainly wouldn’t expect it from Bank of America. When it comes to building a brand voice, I cannot emphasize this enough. Building a social media brand voice won’t happen overnight. Well, building and defining your brand voice can certainly be established quickly, but that’s not what matters. What matters is your brand’s personality shining through your brand voice, and that your audience picks up on it, until the point they know exactly that it’s you who are talking based on your instantly recognizable and distinguishable brand voice. A social media brand voice means nothing if people don’t hear it and get impacted by it. But just like the Coca-Cola brand is etched into your head after seeing it thousands and thousands of times, people need to hear it time and time over in order to start associating this voice with your brand. The most important reason that you want to be consistent with your voice, however, is because of what happens if you’re not. If you use one brand voice one day, and then the next day have a completely different voice, you’ll create a great disconnect between you and your audience. First and foremost, your audience won’t recognize you. Secondly, by constantly changing your voice, you’ll start over with building and establishing your voice every time, which means your voice won’t make any significant impact on your audience. Not being consistent also dramatically increases the risk of making slip-ups in the tone of your voice. This means misrepresentations of our brand personality, and this can obviously lead to great adversity for your brand on social media. Now, the most important part of your brand voice on social media is obviously the text you write when communicating with your audience, but don’t forget that sharing content is a way of communicating with your audience. On social media visual content plays the main role in the content being shared, but text still plays an important role in social media content. However, don’t get it twisted that your visual content can’t have an impact on your brand voice, because it does. Don’t forget to also pay attention to your brand voice when communicating with your audience through content, whether it be text or visuals. Make sure that your visual content sends the same feeling and reflects the same personality that you want your voice to do, and make sure that the text on your posts align with the way you speak with your audience. Not only will this allow you to stay consistent (which you now know the importance of), but it also allows you to introduce your personality outside of your existing audience. Have in mind also that the captions of your social media posts are also a type of messages. While they aren’t direct messages that go to one individual, they’re a means of communication allowing you to communicate with your audience directly. While your visual content doesn’t play a central role in your brand voice, it’s still something worth paying at least a little bit attention to. Your visual content is more about your overall branding strategy, just like your social media brand voice is a part of your brand strategy. As such, your brand voice supports your branding strategy, and your visual content supports your overall branding strategy. This aligns with the importance of consistency as you otherwise risk creating a huge disconnect which can derange your whole brand voice strategy. Use your logo in each of your posts. This will allow your audience to instantly recognize that the photo is from you, and it will also help you etch your logo into your audiences’ brain to increase their logo-awareness. Decide fonts that align with your brand’s personality and style and use them consistently. 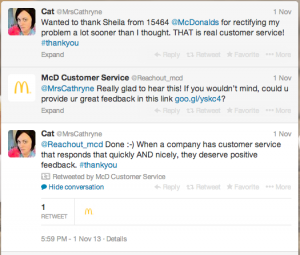 Your customers have conversations on social media. A lot of them. As far as social media brand voices go, this is where it will have the biggest importance. After all, it’s when you engage and interact with your audience that you can make the biggest impact, make them truly resonate with you, and build your customer relationships. And this is great news considering that 71% of consumers who receive positive social care are likely to recommend that brand to others. Have in mind, though, that as far as interacting with customers on social media go, it doesn’t just include customer service errands. While many customers will turn to social media for customer service, the vast majority of conversations about your brand, indirectly or directly, or about your industry will not be customer service errands. They will, however, all be incredible opportunities for you to engage and interact with your audience, increase their loyalty, and build your customer relationships. When you consider the fact that the best way to sell to customers isn’t by simply trying to sell to them, but instead focusing on building relationships with them, you’ll see why this is a great idea and an amazing opportunity. Best of all, it allows you to use your social media brand voice to interact with individuals who are relevant to your brand and thus likely to resonate with your brand voice. The first step to take part in the many conversations taking place on social media is by identifying the conversations. Where are the conversations taking place? Which social media platforms is your audience using? Are they messages in need of urgent support? Do they come from angry and disgruntled help who need help asap? Do they come from customers who just have a question for you? Are they conversations that are talking indirectly about your brand which you could still benefit from jumping into? And lastly, what conversations is your target audience having on social media about your industry in general which you could jump into? When you’ve identified the answered to these questions, you know that they should be tackled differently. What they shouldn’t receive, however, is different brand voices, because no matter what, you want your brand voice to be consistent at all times. What you need to have in mind is that not everyone will speak to your brand directly and mention you so that you get a notification. At the same time, many of the people who don’t directly mention you expect you to respond, and this demands you to actively listen to the conversations that are being held around your brand, and then take action whenever needed. While doing social listening manually is possible with the right strategies, this process can be streamlined with the help of social listening tools which will actively listen to conversations about your brand and present you with what your audience is saying, and allow you to take appropriate action. This is something worth paying attention to considering the fact that only 1 in 10 social media messages gets a response. I encourage you to not see these customer messages as burdens, but instead, see them as opportunities to build your customer relationships and to make your customers more loyal. Once you’ve found the messages that need responding to, it’s time to take action. Have in mind that it’s better to respond to too many messages than too few, as every message you receive is an opportunity for you to engage with your audience. Make sure you are prepared for and have different strategies for how you’re going to deal with different types of messages. But whatever you do, never forget to stay true to your defined social media brand voice. And maybe most importantly, make sure you respond quickly. Customers expect brands to respond within an average of 4 hours on social media, but the reality is that most brands respond within an average of 10 hours. No matter which marketing effort you do, your brand personality will shine through – whether you have one or not. Therefore, it’s better to clearly define your brand personality an then consistently use it to make your target audience resonate with you and to built better relationships with them. Not all personalities are suitable for all brands, and therefore, it’s crucial that the personality you choose aligns with your brand and its values, as well as your target audience.